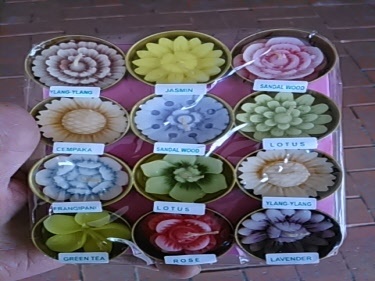 Candles from all over the world, soy wax, fragrant, some in glass jars and stone jars and some sculpted flower candles as well. 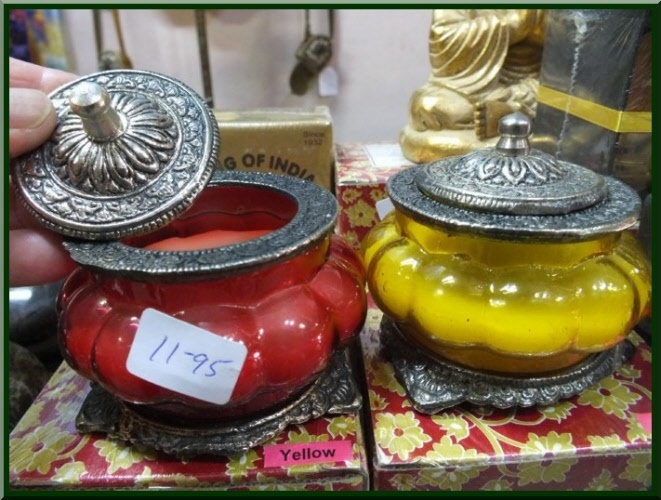 Many fragrances to choose from, make your life a candle heaven, or set up your home as a shrine. 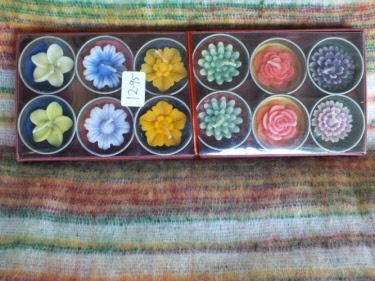 Lovely gift idea, these 12 scented tea lite candles in different colours and shaped like flowers. Give them to a friend or just spoil yourself. 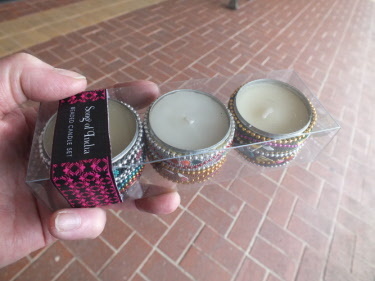 each with a candle in it. 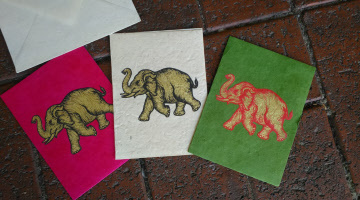 A fantastic gift idea for the elephant lover in your family. Or split them up and give one to each of your close friends. 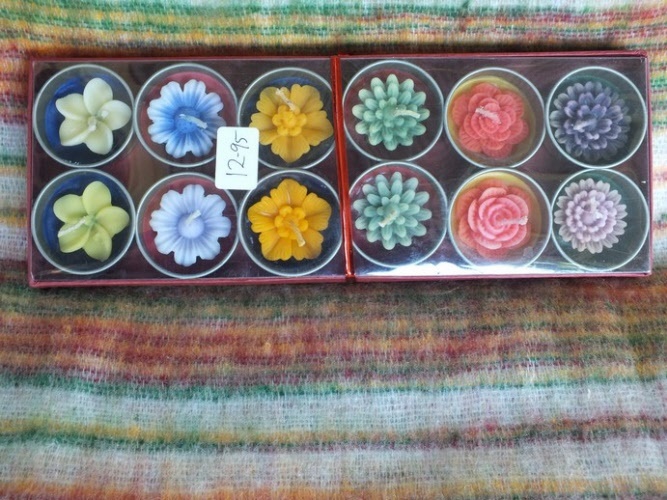 These are sure to please everyone! 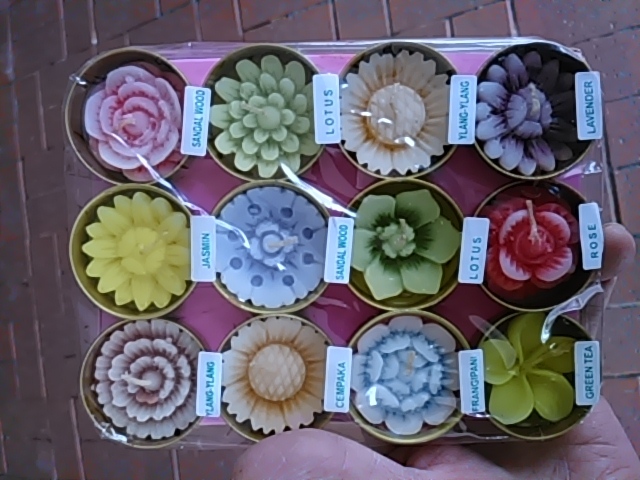 These great candles have all be carved into the shape of flowers. 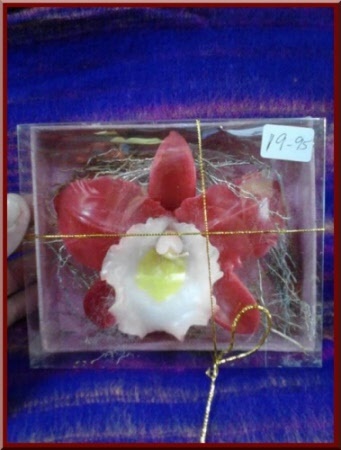 A great gift idea, or just sit them around your bath or spa, around your bedroom or living room, to set a soothing mood. Your friends will be amazed at these intricate designs. 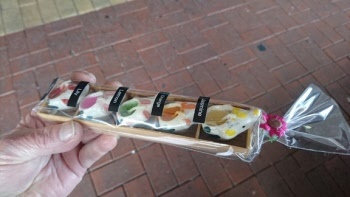 They come in the gift box as pictured. A beautiful scented candle from Song of India ~ producing candles for 85 years ~ they know what their doing. 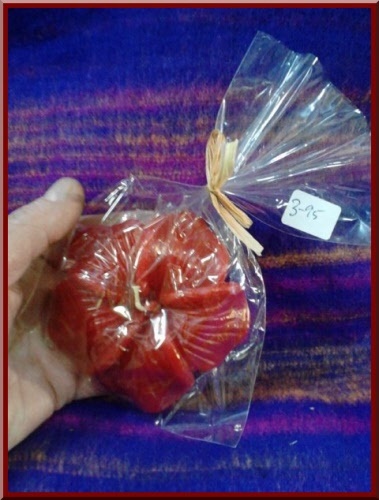 Packaging material is mad up of recycled paper so environmentaly friendly. 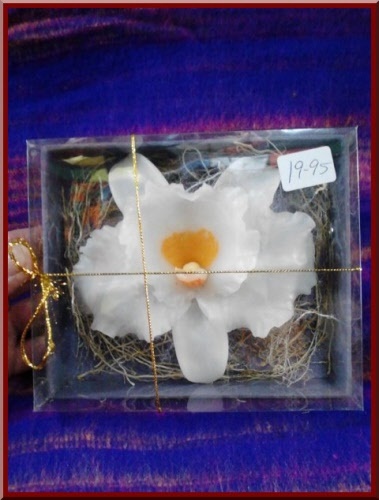 Hand sculpted orchid candle in gift box as pictured. 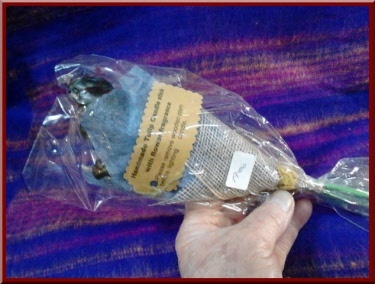 A great gift for your closed friend or loved one. A lovely Boquet of Tulips ~ they are candles and can be individually lit. Surprise a friend with this very unusual and amazing gift. Beautiful and hand crafted on the Indonesian Island of Bali by local artisans. Each rose candle has a little bottle of fragrant oil to put in your candle when burning to enhance the aroma. These candles make a real statement, let her know you care about her with one of these unique candles. 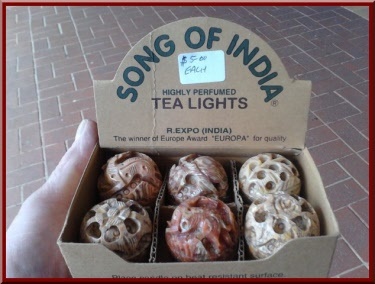 Produced by Song of India, these cute little candles may be small but each one burns for over 2 hours. Contained in their own separate cloisonne tin each candle has it's own unique fragrance. All packaged together, you can give the whole lot as a gift or give one to friends as a special gift at Christmas or any time. 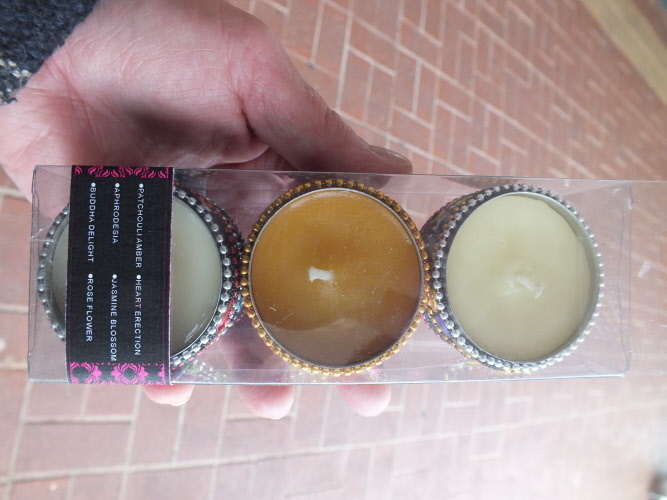 Only $14.95 for the set of seven candles. 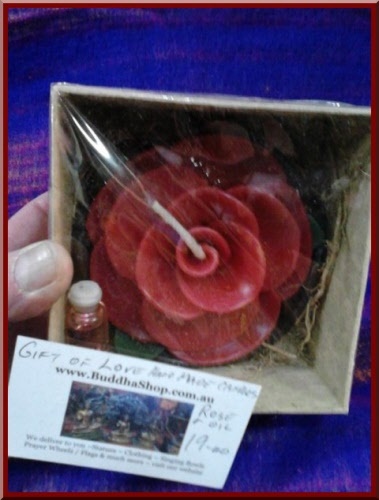 Great little candles, when you can't decide what to give someone this is the gift to give. When the neighbour brings your mail in orsomeone helps you with your shopping or just for being a friend, give one of these little beauties and they will know you appreciate them. 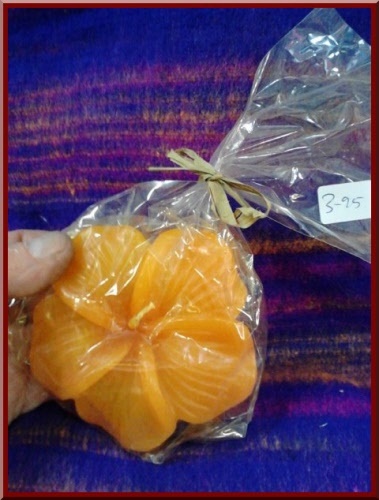 Each one comes in an individually hand carved stone jar with lid. Ideal gift for that special loved one in your life who appreciates quality. 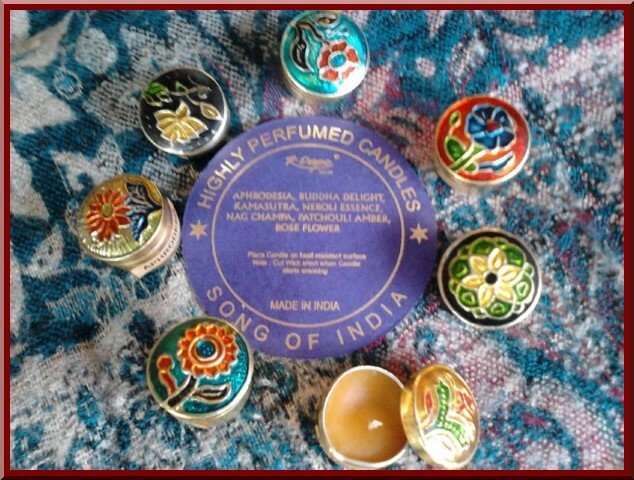 Set of six different fragrances in this pack from Song of India.